The crunch and smell of warm, freshly roasted popcorn is impossible to mix up with anything else. Everybody likes popcorn, including kids and adults of all ages. It brings a special atmosphere of holiday, fun, and relaxation. The author of the template uses bright, juicy colors to render this joyful spirit. You can feature the most delicious products in the gallery. Large fonts and simple navigation impart the template a playful look. 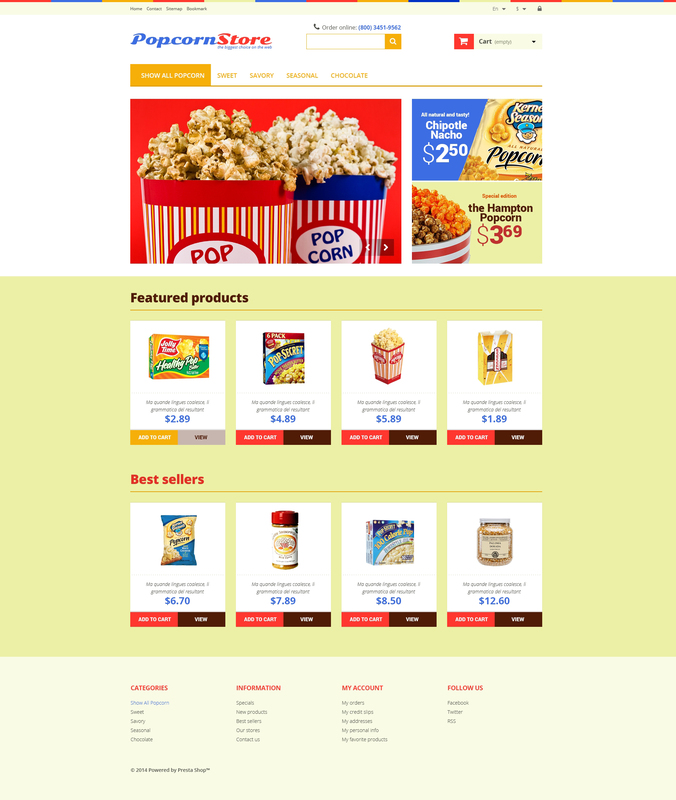 Notwithstanding this flippant appearance, the theme is a fullyoperative, readymade solution for your eCommerce project. You can start to use it almost immediately.